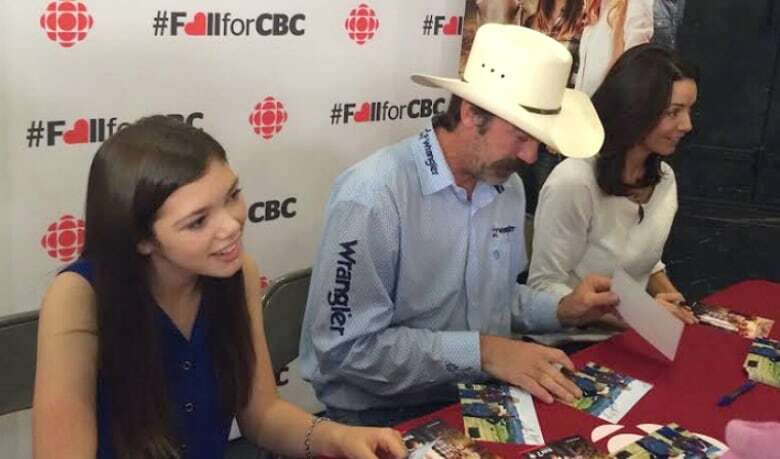 CBC's hit show Heartland is celebrating its 125th episode this weekend, which makes it the longest running one-hour drama in Canadian television history. The milestone marks one more episode than another hour-long CBC drama favourite, Street Legal, which ended in 1994. Director Steve Sciani worked on both programs. “I just have a tremendous amount of pride having done both of these long-running iconic Canadian series," he said. The upcoming instalment this Sunday has the show's star Amber Marshall really excited. The 26-year-old first rode into Canadian homes as a teenager in 2007 as Amy Fleming — a young girl who inherited a gift of healing horses from her mother and puts it to use on her family's Heartland ranch. “Being a young actor on season one, I never would have imagined this show going on this far, and it's just been an incredible ride the whole time,” she said. Her character has changed a lot since that first episode, and Marshall says it's nice to know fans of the show have grown up with her. "I have a lot of people say you've been in my living room for the last eight years and I really feel like I know you,” she said. “And for me, it's kind of like, that's pretty remarkable to know that people have followed the show that long and have really been that involved in it." Fans are so involved that the show's popularity has spread to 119 countries. While the show takes place in the fictitious town of Hudson, it's actually filmed in the Alberta town of High River, just south of Calgary. Maggie's Diner, a centrepiece on the show, was destroyed in the flooding that hit the area in June 2013. After returning to film in the area after the disaster, the show brought a cheque worth $80,000 to help the town recover. The donation was raised through behind-the-scenes tours offered to the show's fans.